(Mostly) every Monday I’ll talk about a lens I own or have used, and post some example shots I have taken with it. 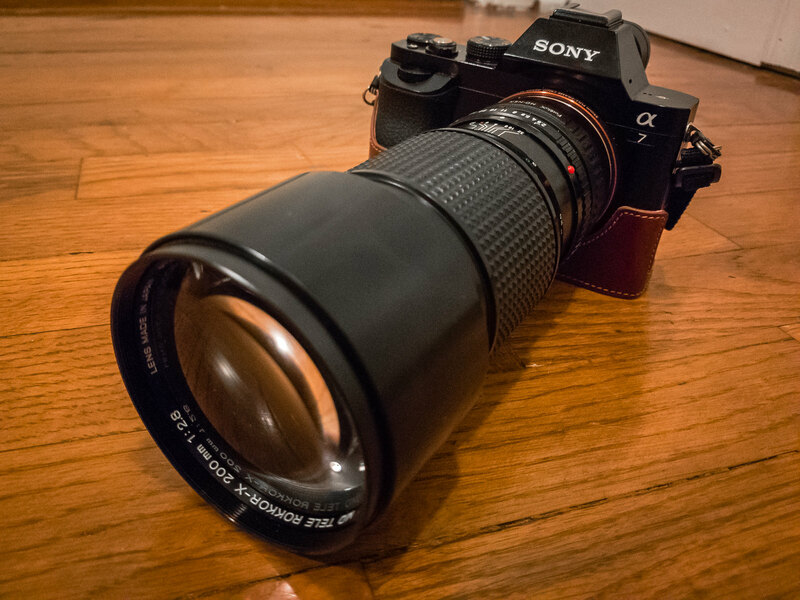 This week: The Sony 70-300mm f/4.5-5.6 G Lens! Usually when talking about Sony’s long zooms, photographers traditionally refer to the 70-200mm f/2.8 G Master and f/4 G lenses. Now those are great lenses, and I look forward to owning them one day, however for now, I think the Sony 70-300mm f/4.5-5.6 G lens is a really strong alternative. It can be had at a better price than the f/4, and a much better price than the f/2.8. (Mostly) every Monday I’ll talk about a lens I own or have used, and post some example shots I have taken with it. This week: The Minolta Rokkor-x 50mm f/1.4! I absolutely adore this lens. First of all, I really enjoy shooting with 50mm. It’s great to throw it in your bag and run out the door, if you’re not sure what you want to shoot with. I take my camera with me to work almost every day in a rugged haversack that’s just big enough to carry it, and one or two lenses. Chances are, I’m taking a 50mm with me, and more often than not it’s probably going to be this lens — even over my “nifty fifty” Sony 50mm 1.8. Well, I’m one step closer to vlogging, and while I don’t have unlimited funds, I also don’t want to push out just any old crap. I feel the best way to prevent that is to practice, practice, practice. In this case I was inspired by some of Peter McKinnon’s videos on the subject, so I wanted to take my first stab at B-Roll — especially 60fps conversion to 24fps in Premiere for smooth slow-motion. I used my Sony a7 and my trusty Soligor 21mm lens as a subject and found some silly royalty free vlog music. Tomorrow my a5000 arrives, so I could also add shots of the a7 recording or vice versa. I can’t wait to try capturing video in the field for future B-Roll. It was actually really fun to do this. (Mostly) every Monday I’ll talk about a lens I own or have used, and post some example shots I have taken with it. This week’s lens: The Minolta Rokkor-x 200mm f/2.8! Sony A7 with Minolta Rokkor-x 200mm f/2.8 lens. When I got into more serious photography a year ago, my uncle had given me his A7 camera. Along with it he had given me the Sony 50mm f/1.8 lens start with. However, he didn’t want me to just be able to hit AF and get a perfect shot every time. He wanted to ensure that I would have to work for a good photo, so he also gave me his collection of vintage Minolta Rokkor lenses. Being manual focus, these lenses would require me to think differently, and I was eager for the challenge. I would be the MANUAL LENS KING! MOAR BOKEH!!! !